Always ensure strict professional supervision. 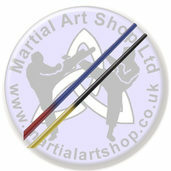 You'll find an extensive selection of high quality martial arts weapons in our online store. 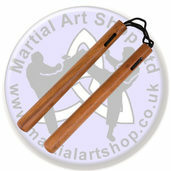 We sell wooden and foam nunchaku, which are ideal for training purposes. You can use these items to develop the essential skills of dexterity and speed. 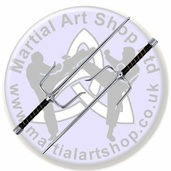 Alternatively you may be interested in the finely crafted Competition Sword or the Wing Chun Butterfly knives. 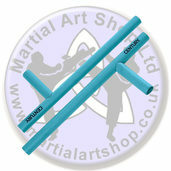 You could use these items when practising the ancient Japanese martial arts. 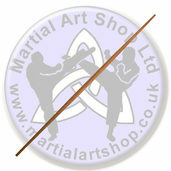 You can be assured that we take great care over the sale of these potentially dangerous martial arts weapons. We urge you to use them in the training arena under the supervision of trained experts. 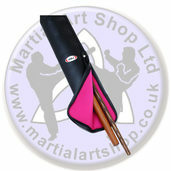 However, we also realise that the mastery of these items will be an essential part of your development as a martial artist. 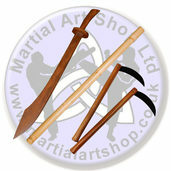 Here you have the opportunity to purchase items such as the koga and tonfa, among numerous others. 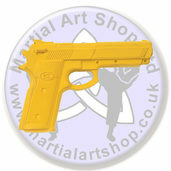 If you are keen to take your martial arts training to the next level then you should purchase some of our hand-crafted and easily affordable weapons today. Remember that we have a returns and refund policy for any customers who aren't absolutely satisfied.